20 modern, simple and fabulous kitchens! The kitchen is the heart and soul of the home. There’s something about the aroma of freshly-baked goods and the smell of delicious food wafting through the air that makes it comfortable, cosy and inviting. 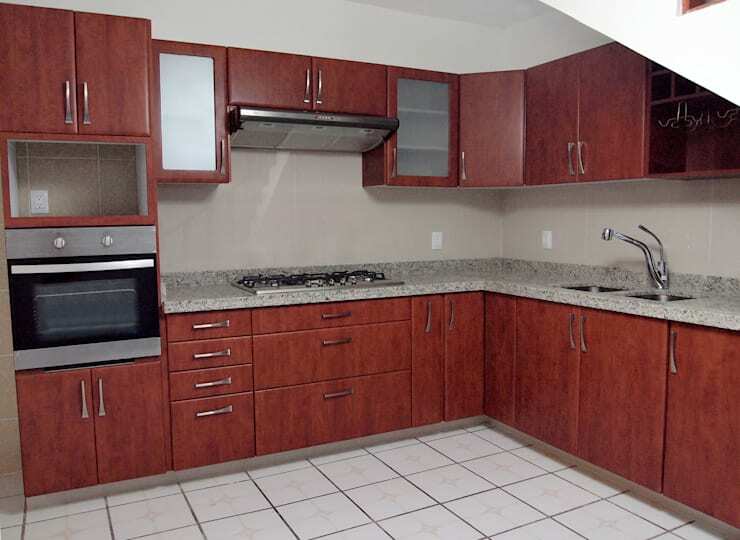 But, that doesn’t mean that your kitchen design should be neglected and in disarray. 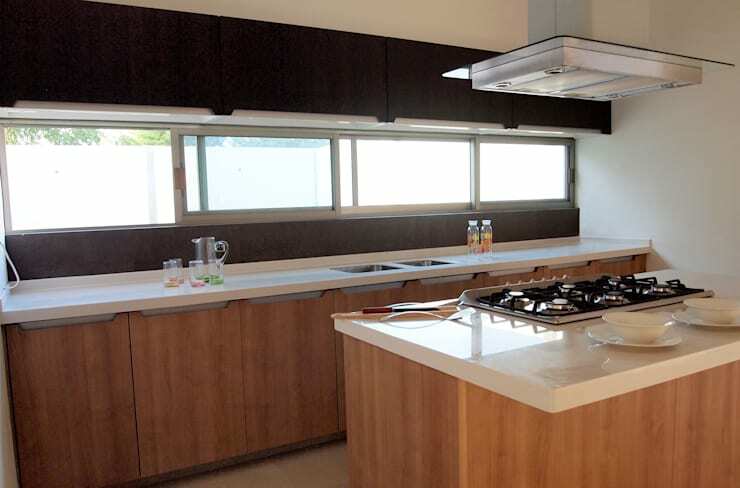 In fact, if you’re a regular user of your kitchen, you may want to consider some modern and elegant designs for that attractive and welcoming effect. Your kitchen can quickly become a space where delectable meals, lively conversation and adorable banter makes it a homely atmosphere. In this edition of homify, we look at 20 modern kitchens that each have a fabulous yet simple identity, adding chic style to the contemporary home, regardless of the space available or layout of the house. 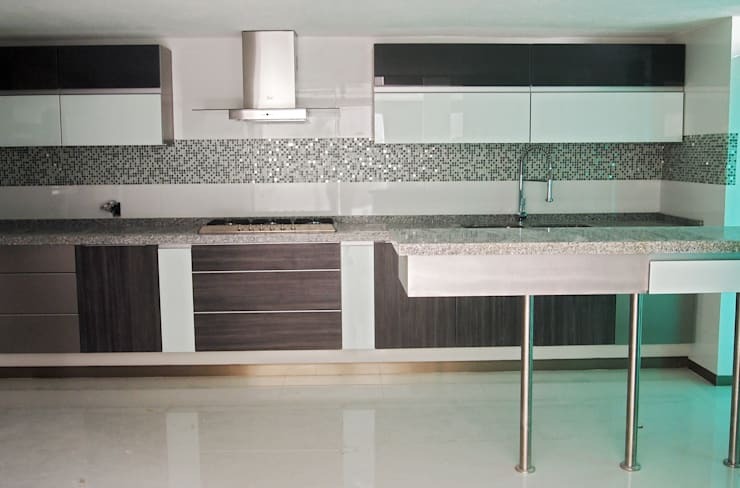 This kitchen is easily accessible with a darker colour décor for a sophisticated look, the walls are decorated with beige and white mosaic tiles, while the steel handles add a modern touch. 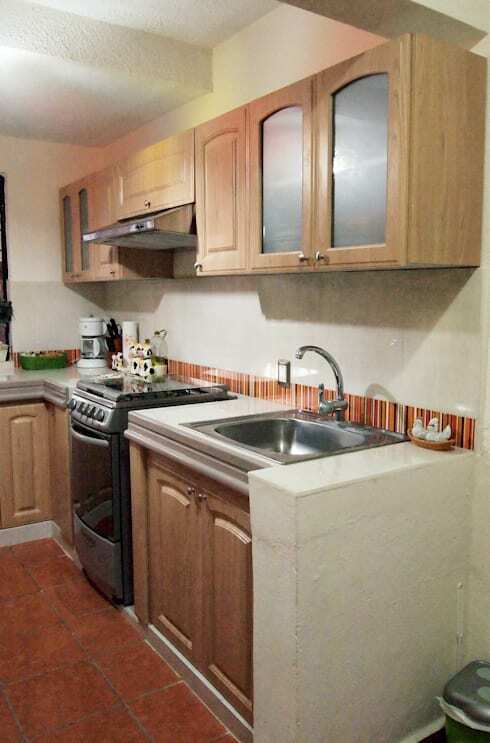 Although this kitchen is compact in size, it makes up for it in colour. 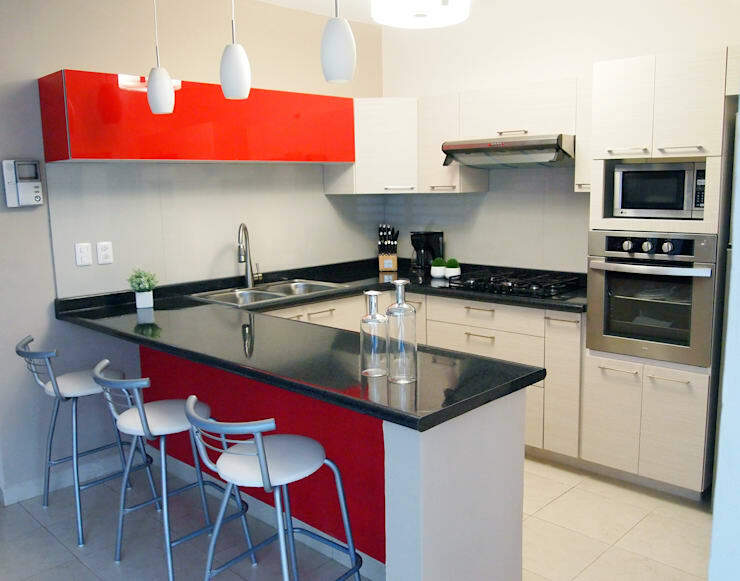 The combination of red and black is no doubt a stylish choice, while the informal dining area is just perfect. 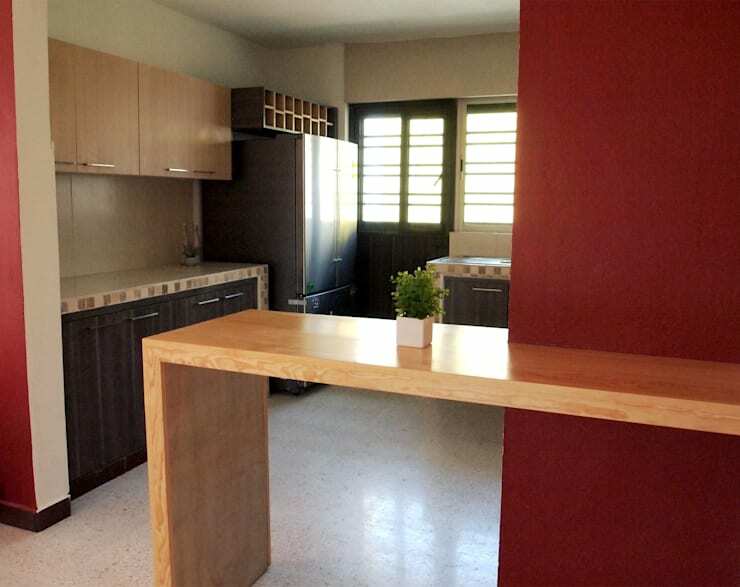 The interior designers of this kitchen considered horizontal lines and plenty of working space. 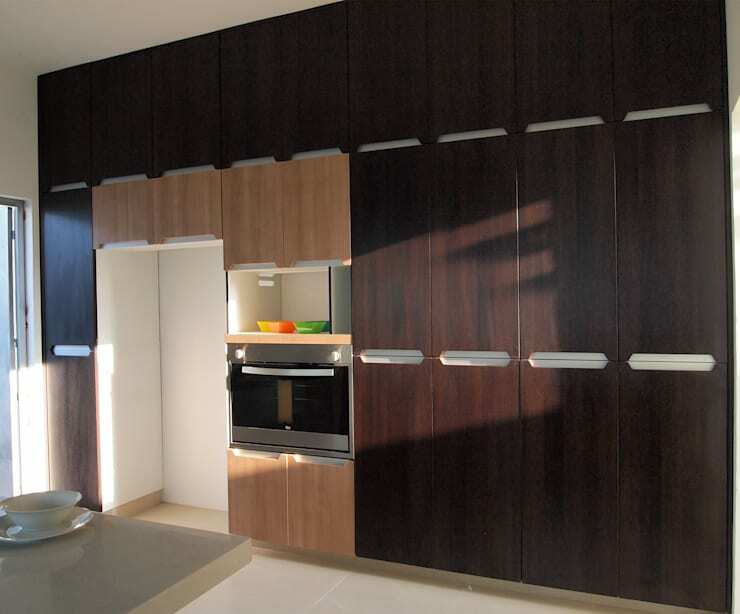 The design is a combination of neutral and chocolate colour wood and is absolutely practical. 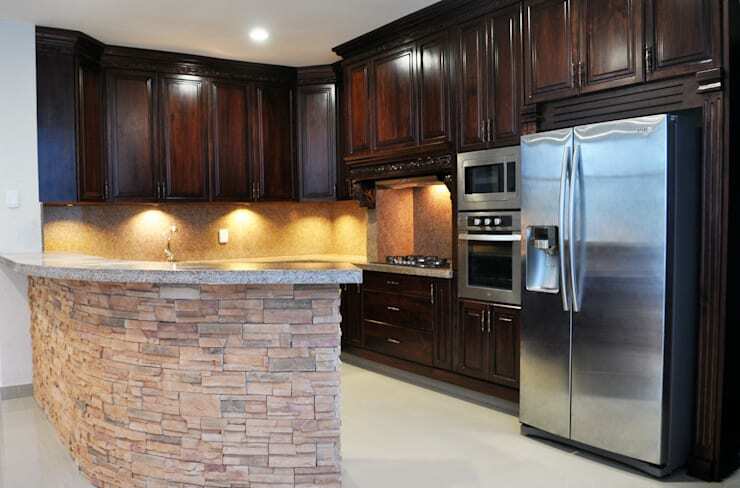 Incorporating some rustic or traditional detail in a modern kitchen can make for a stunning décor. 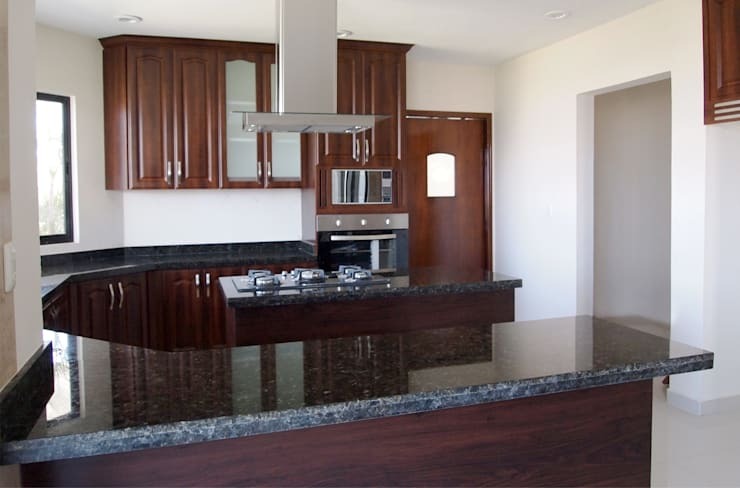 You cannot go wrong with a granite countertop for that durable and dynamic kitchen. A colourful splashback is a fantastic way to liven up a neutral kitchen décor. Wood is available in variety of hues, and this colour combination is interesting and vibrant, especially in a minimalist style kitchen. 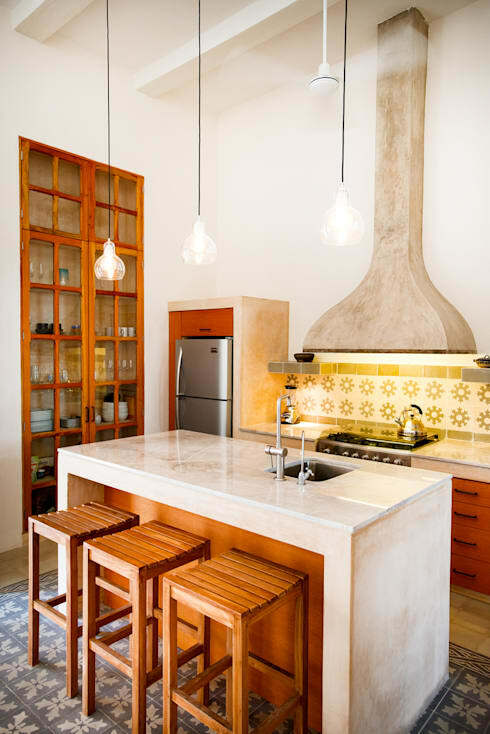 Although this kitchen has an all-white colour scheme, the furniture, fittings, illumination and mosaic flooring enhances the rustic ambiance. 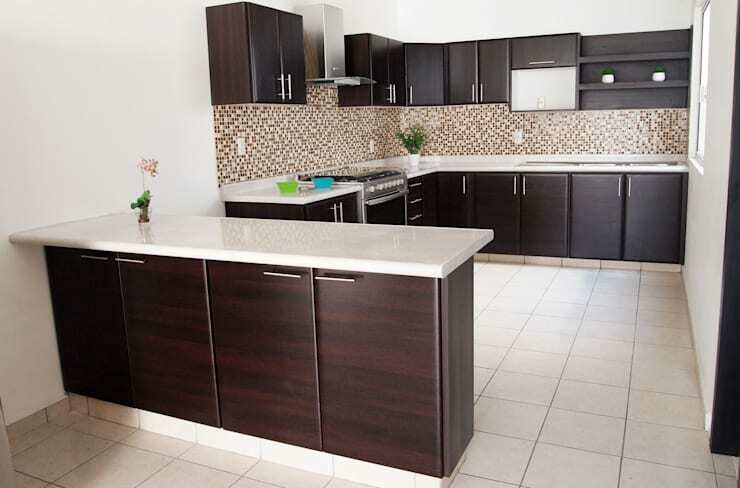 Cream coloured wooden cabinets is a small kitchen are a wonderful choice. 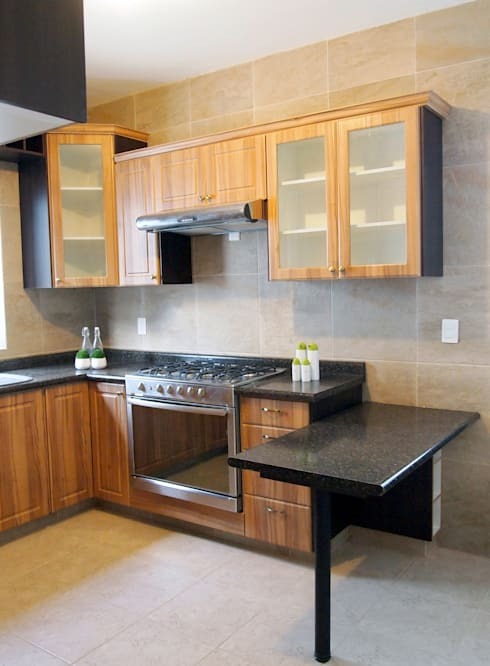 Opt for some sober style and elegance with a dark wood design, add some dark grey granite countertops and a sleek cooker hood. 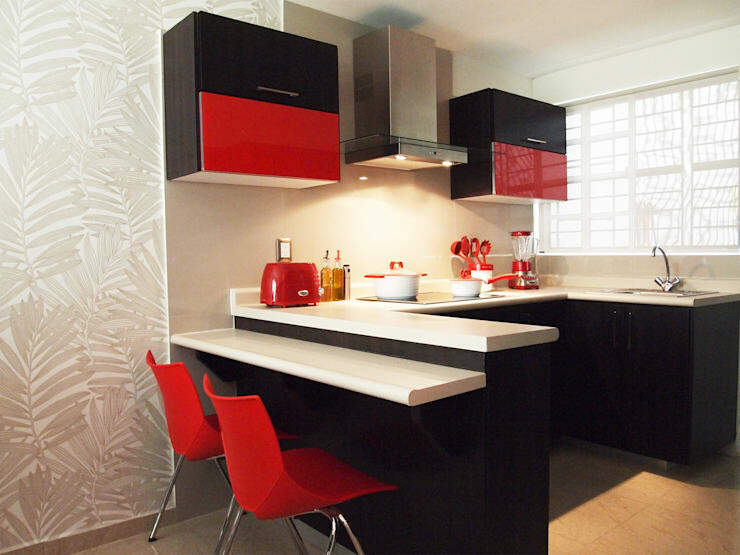 Go for a quirky kitchen décor with a vivid tomato red and ensure that your home has a funky atmosphere. LED lights are a must-have in the modern kitchen, this will illuminate even the darkest corners. Who says you need to go with colours that you’ve seen time and time again in a kitchen? 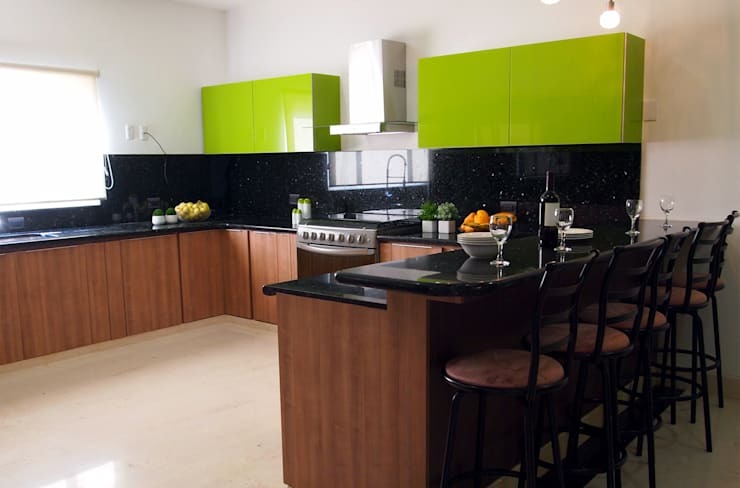 This U-shaped design is functional, trendy and the vibrant shade of green is so energetic too. 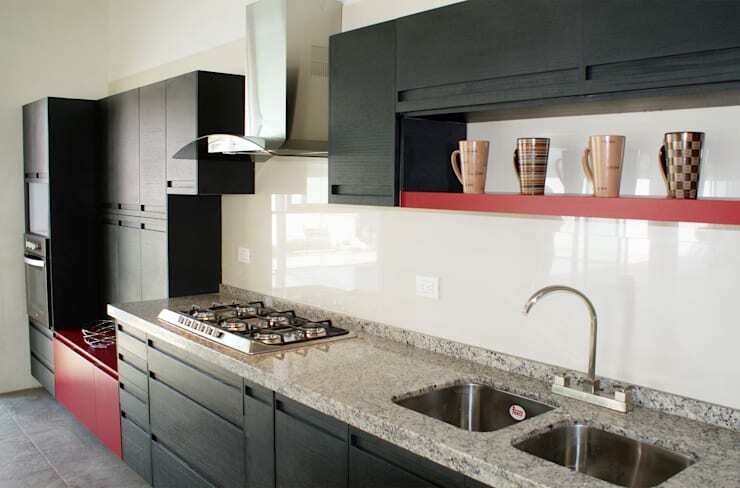 This petite kitchen includes black wooden cabinets with discreet red shelves for that romantic and creative design. Add some stone and wood for a textured look in your modern kitchen, while stainless steel appliances are sleek and sophisticated. 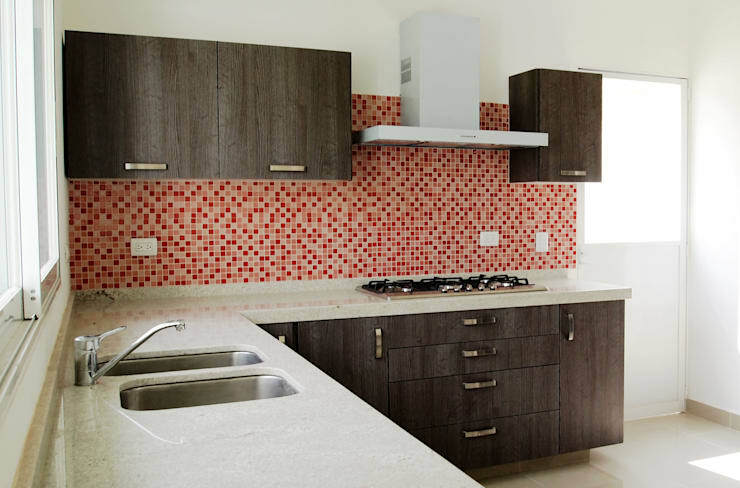 Neutral colours are great to keep your kitchen trendy for many years to come without tiring of a bright colour. 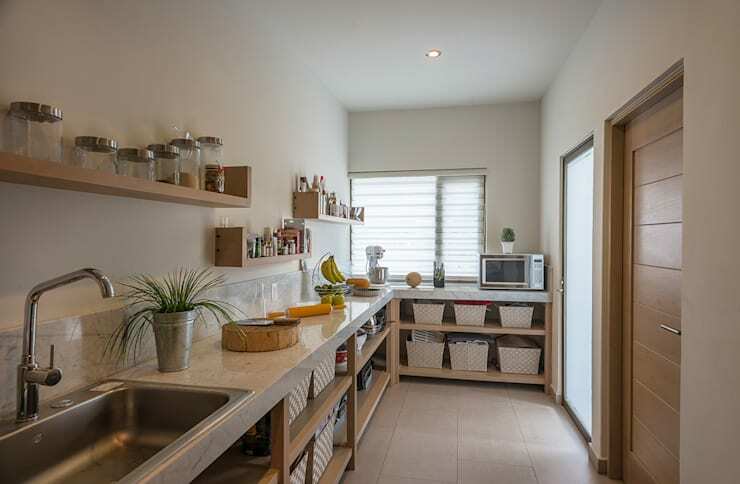 An L-shaped kitchen may be the space solution to a small kitchen problem, while open shelves keep the space looking inviting too. 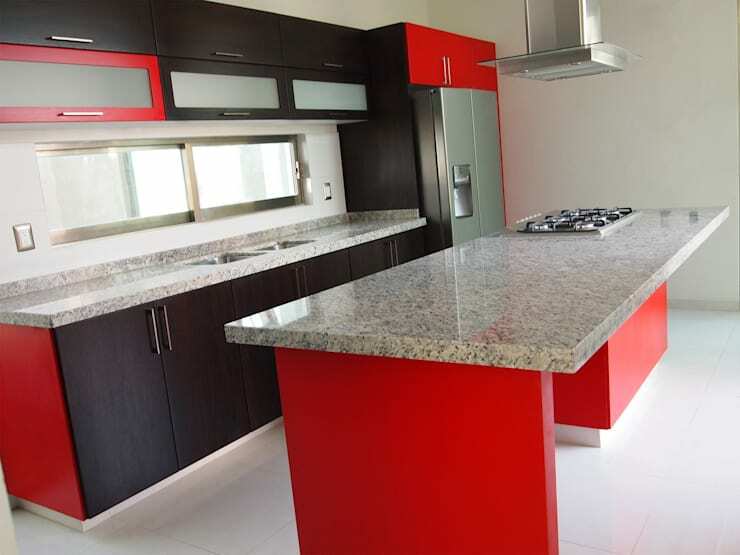 We saw a combination of red and black earlier, and red and white is another fabulous contrast of colour for a cosy kitchen. Steel is an excellent choice for is strength and durability and when combined with other shades of grey, the kitchen is gorgeous and modern. 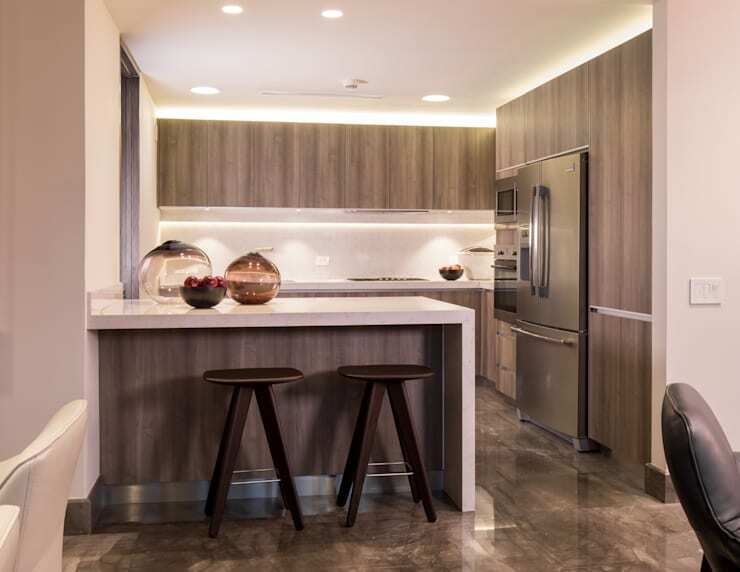 Translucent doors and black granite countertops along with light wood and shades of grey, beige and brown. Now that is a simple design that will stand the test of time. 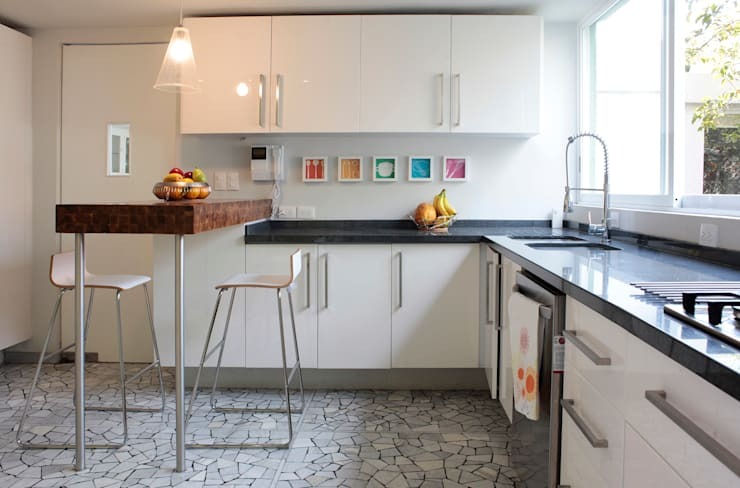 Have a look at these: 14 affordable and cool kitchen ideas to copy. Modern or rustic? Which kitchen do you love most?